California could be considered a pioneer for many technological innovations in the past few decades. 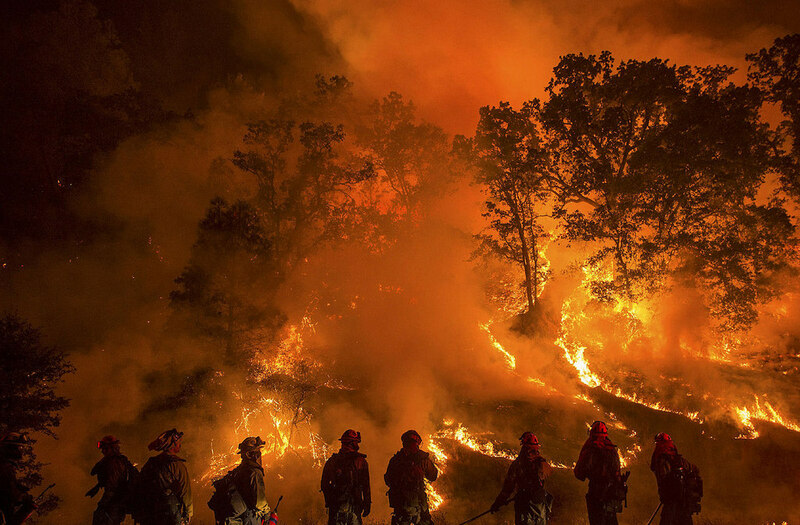 However, brutal wildfires are common in California and the technology that fights them remains the same. From fire trucks on the ground to helicopters dropping foam and water from the air. Cal Fire will receive in the next five years a dozen Black Hawk helicopters designed in the ‘70s which previously served in the Vietnam War and they will replace the fleet of Hueys. Firefighters from 1955 could easily recognize the techniques and tools we are using today, but they might not recognize the intense fires raging through California. The new technology for fighting a wildfire should be tested thoroughly since we are talking about life or death situations. Also, the new technologies would cost a lot of money and there are many budget constraints since money gets consumed by the daily wildfires across the country. The Forest Service has almost 20,000 full-time firefighters and countless season workers who are dedicated to fighting wildfires nationwide. The budget is approximately $3.4 billion a year which is 57% of the budget both in the field and offices. Plus, they have 80 people working on the development and research of new technologies. How Technology Shapes the Way We Read? Technology has changed the way we read and write in the past few decades. The fact that you are able to read these words on your laptop, phone or tablet is amazing. The material available for us to read is bigger than ever. Here is one simple example, websites powered by WordPress publish more than 77 million posts on a weekly basis. That’s a lot of a reading material, some good and some less interesting, some have high-quality and some don’t, but the options are there. Many thought that books, as we know them, will become a matter of the past, but paper books are being sold more than ever. Only last year 687.2 million of paper books were sold in the United States. However, there is a thriving industry of e-books, where on Amazon anyone can publish a book and sell it to anyone in the world. And anyone can pick up that book and read it. From one side, it seems there was never a better time for books and people who enjoy reading. From the other side, we have less time and less focus, more options and more distractions. All these factors make us feel less interested to finish the book that we are reading. Nevertheless, people are adapting easily to new ways of reading while technology is shifting our relationship with stories and books. We embraced the technology and its benefits for easy access to books we would love to read. The all familiar view! A group of young people sitting in a coffee shop, staring at their phones and not talking. Technology is truly making our lives easier, but sometimes the old way is a better option. When it comes to talking and interacting with people, technology helps us a great deal. When we are aboard, we can Skype with our grandmother or parents or children. Only that benefit of technology is amazingly giving us an opportunity to stay in touch with our loved ones. However, the old way of communicating with people is always better. When you have an option to go and visit your grandmother, that’s exactly what you should do. Skyping with your friend who lives across the street doesn’t make a lot of sense. Sending messages is a great way to communicate with each other but it can’t replace looking someone in the eye and having a conversation. You probably noticed that your co-workers prefer sending you an email than talking face to face. Moreover, it’s possible that you do the same thing. Technology makes our communication easier but it should never be the main way we communicate with others when old options are available.